heaven, and his kingdom rules over all. place he watches all who live on earth. earth but also the ruler of the universe. happens in heaven and on earth. our lowly bodies so that they will be like his glorious body. called from this earth will be changed into their spiritual bodies in an instant. to be with me that you also may be where I am. You know the way to the place where I am going. 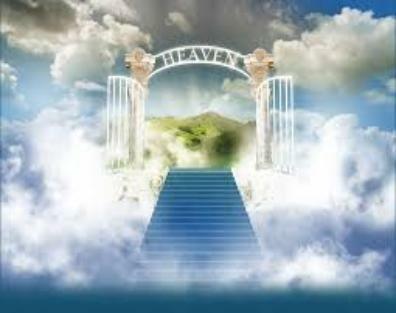 Jesus promised that he would prepare a place in heaven for all those that believe in him. accept what he did for them by dying on the cross to pay for their sins. voice from the throne saying "Now the dwelling of God is with men, and he will live with them. of things has passed away." the river stood the tree of life, bearing twelve crops of fruit, yielding its fruit every month.